This is my Bruce Lee fun flow! Move your energy by moving your breath in this faster pace class. Full spectrum practice with a little bit of ab work! In this class we take the shoulders through internal and external rotation work. Have fun exploring some of my favorite poses for the upper body! Let's stretch the entire front body from thighs to chest preparing us for our peak pose King Tiger! This sequence also helps me release anxiety. Every Vinyasa practitioner should take this class as "maintenance" work. Focus of this class will be releasing the hip flexors. Let's began by conditioning the body and continue moving with a hip focused flow! Find the balance between strength and flexibility yogis! One of my favorite Yin sequences to release the spine by placing focus on our hamstrings and hips. Relax and let go yogis! During the winter, things are colder, more dense and heavy—not only physically, but also emotionally. 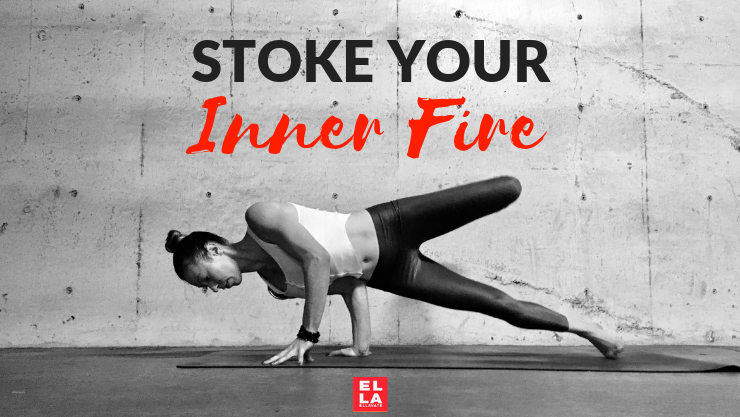 In this season, it’s good to activate the flow of energy in your body and get rid of that sluggish feeling by stoking the inner fire. In this program, we do just that through an exploration of Flow, Conditioning and Yin—helping us focus on what we want to bring forth in our lives. SIGN UP BELOW TO RECIEVE THIS PROGRAM TO YOUR EMAIL OVER THE COURSE OF 3 WEEKS.